Four years ago, I was making $25 per hour as a freelance digital designer building ecommerce sites. I had no idea how to increase my hourly rate, even if I’d wanted to. Today, I work as a UX contractor for multi-million dollar ecommerce companies. I made the transition from a digital design generalist to a specialist in the research and design of ecommerce purchase paths. By becoming a UX expert, I increased my earnings by 150%. I know what some of you are thinking: “I don’t make $500 in a week!” So how can I command similar day rates? I could have made the transition much faster had I known the secret formula high-performing UX executives use to get the salaries they want. I want to share the method with you so you can avoid the mistakes I made and “ask for more” with confidence. I said the lowest day rate I could think of—and they said “yes” to my offer the next day. That comment nearly made me choke on my coffee because I hadn’t negotiated my day rate during my interview. According to Linda Babcock of Carnegie Mellon University, by not negotiating salary at the beginning of your career, you’re leaving anywhere between $1 million and $1.5 million on the table in lost earnings over your lifetime. And that figure doesn’t include company retirement contributions based on a percentage of salary. Here are 3 scripts you could use to negotiate a higher-than-the-low rate when confronted with a stressful question about salary. “According to my research, a day rate for a role like this is anywhere between $350 a day and $1,200 a day. Because of my experience in ecommerce UX I’d be looking for the higher end of that scale.” Then share examples of why the top rate is best for you. Most people go blindly from UX job to UX job without ever knowing what value and achievements they bring to a role. When you do that, your earning potential flatlines. When you track your achievements, your success becomes quantifiable. Then, you can use your successes as leverage in your next negotiation process. Improved the user flow of invoicing that increased repayment rates by 50% and reduced the number of calls to customer service by 50%. Saving the company $10,000 a day in debt collection fees. I challenge you to start keeping tabs on your weekly achievements. When you do this, you can quantify your earning potential to use in salary negotiation to command higher rates. They think it’s a good way into the UX industry, but it isn’t. When you work for a company under the “UX/UI designer” role, you devalue your earnings by 50% and inadvertently increase your workload by 150%. 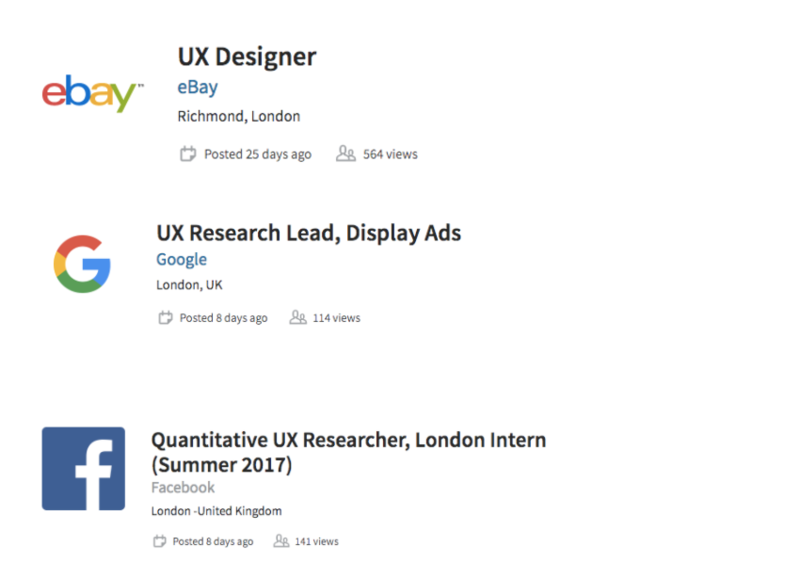 Advertising for a “UX/UI designer” is like advertising for a “plumber/electrician.” Do you want to get hired to do 2 jobs and only be paid for one? Or, worse, you could do a bad job on both roles and risk getting fired. A better idea: apply for a UI designer role—or a junior UX role when you’re starting out. When you focus on applying for one position, you dramatically increase your chances of getting an interview. So why should you focus on applying for only UX design or UI design roles? It seems everyone wants to hire a UX/UI designer unicorn. It pays to focus on getting roles with top-tier companies. Why? Think ahead: In 5 years, do you want to have plateaued your career or be surrounded by the most intelligent minds in the industry? When you get your first UX role with a big tech company, you also massively increase your perceived value to future employers. Most designers use their last job as a benchmark for salary. When you do that, you risk losing out on salary the company was willing to pay you, if you could prove your value. The screenshot above shows there’s a big gap between $88,365 and $116,025. So during a negotiation, how do you quantify how much you’re worth within that range? The research conducted in my role saved the company $25,000—and because of that, I know you save a considerable amount and more in the future that would allow you recoup your investment in me, in a short amount of time. “I don’t know how typical it is for people at my level to negotiate, but I’m hopeful that you’ll see my skill at negotiating as something important that I can bring to the job.” This script, in particular, performed well during negotiating research. When you know your worth, it makes it easier for you to navigate the stress of negotiation and avoid self-sabotage. Being able to negotiate a salary is absolutely essential. Next time you’re in the situation, take the time to prepare—you’ll be so glad you did. Looking for more from Louise? Read how she landed her first 5-figure design contract here. Louise Campbell is a lead UX designer and founder of UpSkillMastery.com who helps ambitious graphic designers transition to user experience design. Get her exclusive $34K UX design contract material—free for InVision Blog readers.